With both children and dogs near and dear to our hearts, it is naturally important that they are able to coexist happily and safely together. Unfortunately, reactivity towards children is a common reality for many dog owners. Therefore, when it comes to interactions between our dogs and kids, there is no room for error. When dogs and kids interact, both are at risk for injuries and accidents unless we (the dog owners) are able to control the situation and prevent accidents from happening. Kids are inclined to cry, scream, or throw temper tantrums. These may trigger a reaction in our dogs such as prey drive or fearful retaliation. These are only some of the reasons interactions can escalate out of control. Learning to recognize the signs from your dog that may lead to reactive behavior will help prevent accidents from happening, and possibly even save a life. A dog’s growl could indicate a number of different reactions, but it is often one of the last warnings a dog will give before he lunges or snaps. 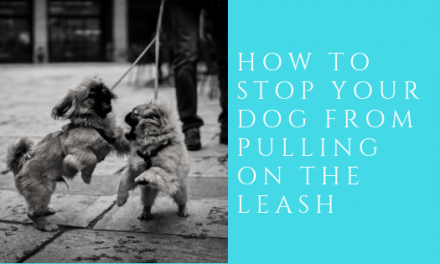 Of course, because lunging, nipping, and biting are all unacceptable behaviors, so are signs and cues of reactivity, like growling. When you notice your dog begin to exhibit reactive behavior around children, be sure to correct him, remove him from the child, and redirect his focus to something positive. Puppies, like children, are in an experimental phase of life. They like to test boundaries and see what they can get away with to find their place in the world. Often puppies use signals that may otherwise demonstrate reactivity when they are simply testing their limits. Puppies often growl at their littermates out of “play”, and occasionally carry that behavior over to people. This is similar to children roughhousing. Even if growling is “just for fun”, this fun can quickly escalate out of control. Fixation, posturing, and raised hackles all indicate that a growling puppy is no longer playing. Instead, they could be heading towards a nip or a bite. At this time, stop the interaction between your puppy and child, and redirect your puppy to something positive; like his favorite toy. It is important to recognize the distinctions between puppies experimenting, and a growl that indicates escalation. 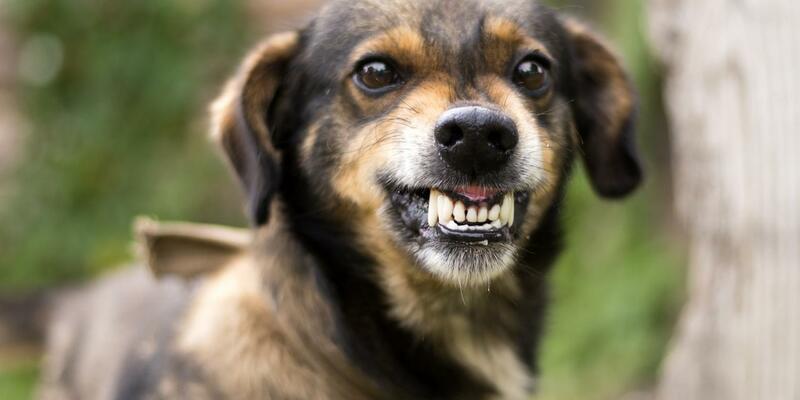 A dog that growls may be playing, but may also be warning you. In order to imprint training and good behavior, we must be able to understand our dogs and what they are trying to tell us. It is our duty to keep our dogs and everyone around them happy and safe! Rule of thumb: When it comes to puppies and children, you must train the puppy on what is acceptable and what is not. Additionally, make sure to teach the child how to properly handle and behave around the puppy. 1. Learn to read the dog’s cues and behaviors that demonstrate possible discomfort and potential reactivity. Not all cues necessarily exhibit negative behavior. Not all dogs will cue discomfort or reactivity. 2. Stay in control of your dog. Manage all interactions your dog has with children. Be sure to pay careful attention to your dog’s behavior, but monitor the behavior of the kids as well. If possible, prevent any behavior of children that may cause a potential reaction from your dog. 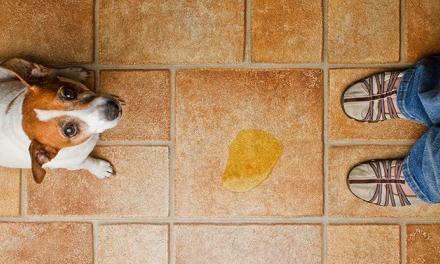 In the end, you are responsible for your dog’s behavior. 3. 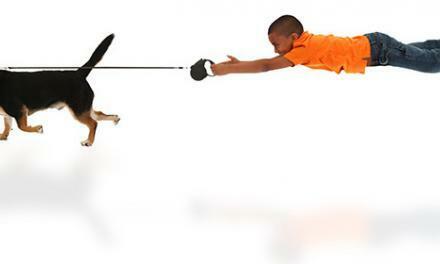 Do not expose a child to your dog if you think his behavior may escalate. If your dog is around children, they should always be supervised. 4. 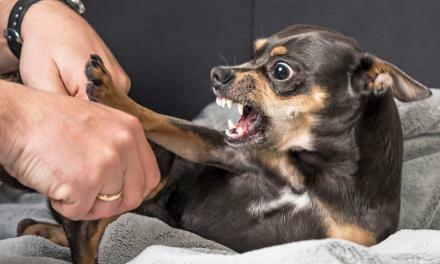 Make sure to correct your dog when he growls and let him know that his behavior is unacceptable. Redirect your dog to a chew, or to a training routine. 5. Always put the safety of a child first. If you think interactions between a child and your dog are becoming dangerous, take control over the situation immediately. NextWhy Do Dogs Hate Men?